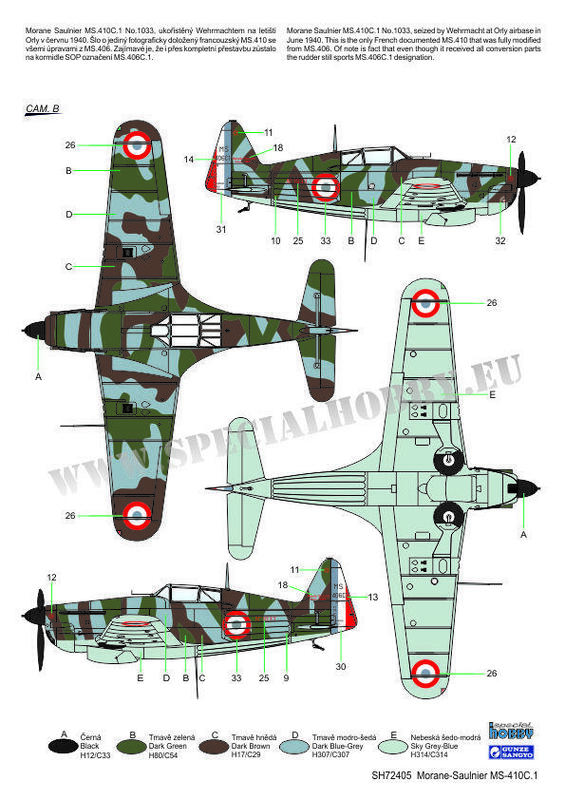 Model of the French WW2 fighter plane, an improved and more powerful version of the MS-406. 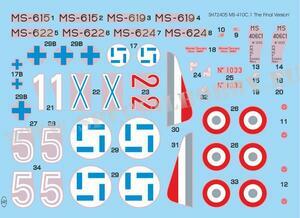 Contents of the box: three styrene sprues, one clear, resin cast parts, photo etches, full colour instructions, decals. 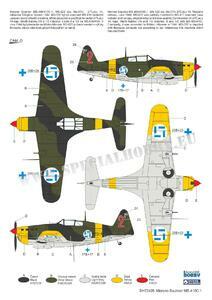 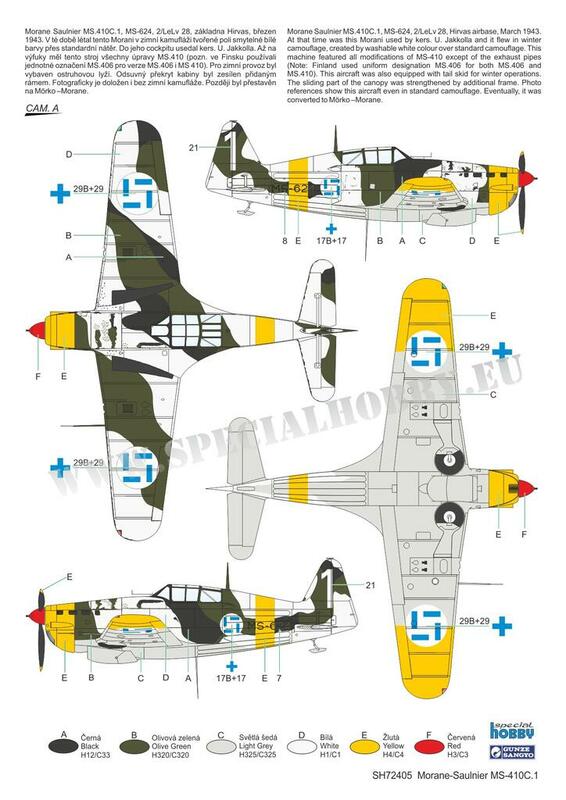 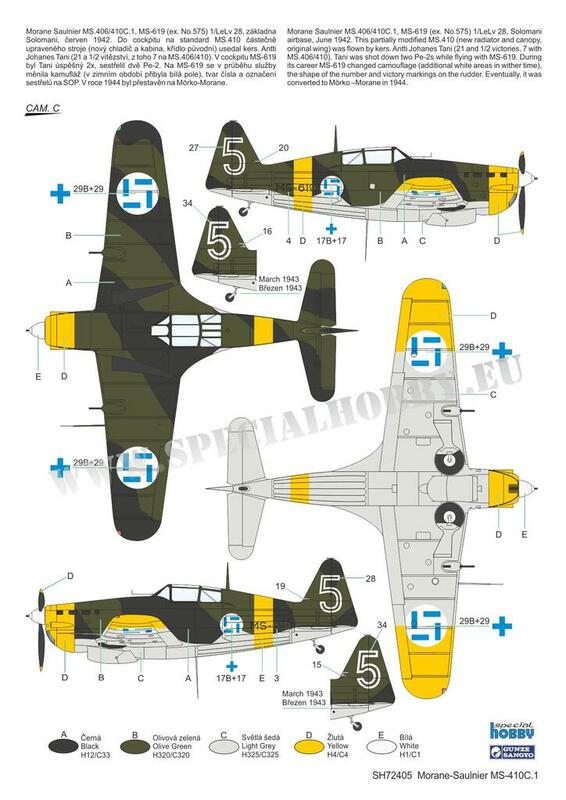 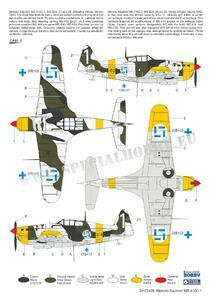 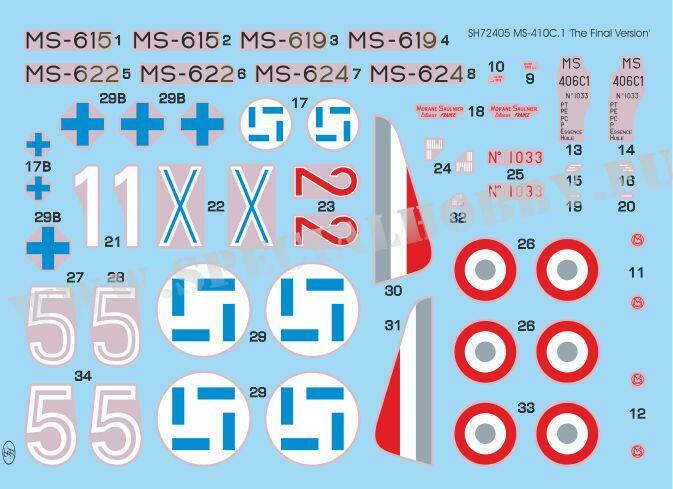 - decals offer markings for one French machine and four Finnish, all of which wearing eye-catching schemes. 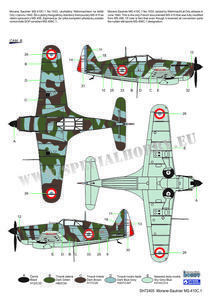 - two styles of the wings.